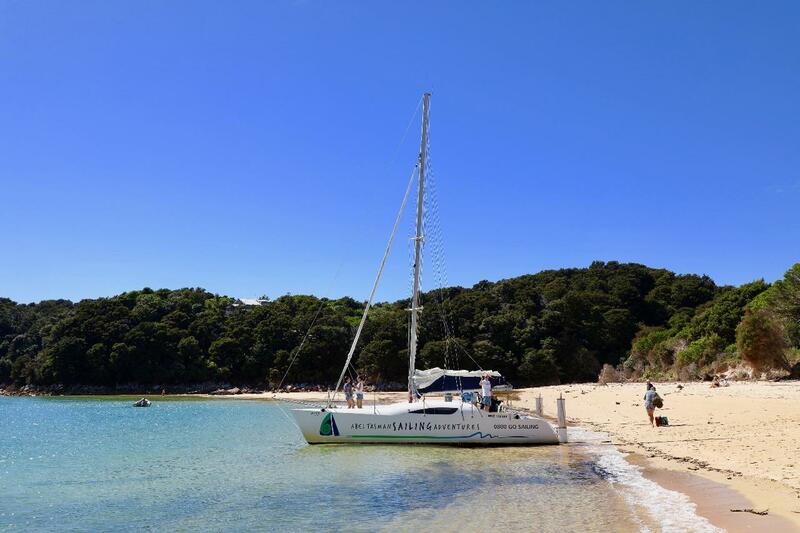 Enjoy sailing and sightseeing with time to go ashore at Anchorage Beach, a great spot for a picnic or a swim. Join your water taxi and travel further north, cruising the coastline via Tonga Marine Reserve. For those wishing to explore the Park further, arrangements can be made to go ashore at Onetahuti, enjoying a self-guided walk through lush native forest following the coastal track to Awaroa Lodge, your luggage transfer taken care of. Spectacular scenery and sightseeing, expect to see secluded coves, golden sand beaches, pristine clear waters and native wildlife. Learn about the Abel Tasman National Park, its history, features and highlights, visit Tonga Marine Reserve and stop at the famous Split Apple Rock for photos. Sit back and relax or have a go at sailing - you decide! Note: This is a one way transfer between Kaiteriteri Beach and Awaroa Lodge and does not include your return ticket. Accommodation not included in ticket price.